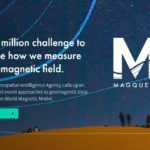 The UNR team has collaborated with Dr. Matthew Deans, Deputy Director of the Intelligent Robotics Group of NASA AMES Center in Mountain View, California. This material is based upon work supported by the National Aeronautics and Space Administration under Agreement No. 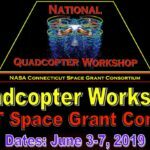 NNX15AI02H issued through a Faculty Research Infrastructure award from the Nevada Space Grant Consortium. According to the U.S. Forest Service, an annual average of 70,000 wildfires burn approximately 7 million acres of land and destroy more than 2,600 structures. Wildland firefighting is dangerous and a lack of information is one of the main causes of accidents. 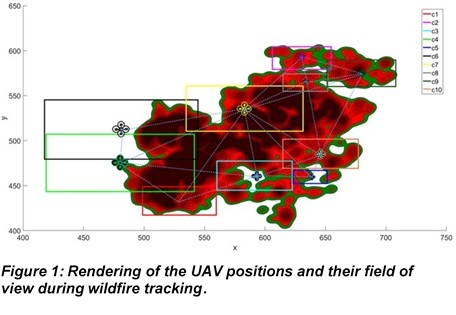 Unmanned aerial vehicles (UAVs) provide situational awareness of wildfire scenes because they can augment hazardous fire-tracking activities and significantly save operational costs. The UNR team, lead by Dr. Hung La, developed a distributed control framework for a team of UAVs to monitor wildfire in open space and precisely track its development. The UAVs are designed for flexible deployment and to effectively avoid in-flight collisions and cooperate well with other UAVs. Each UAV self-learns and adjusts its altitude to provide optimal coverage of an unknown field. 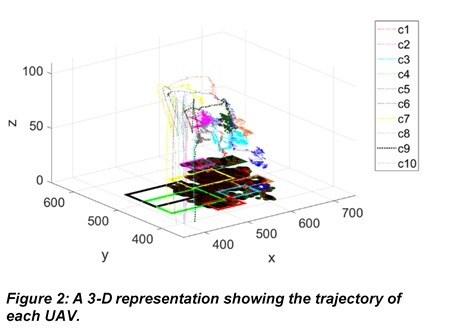 The proposed controller was tested in simulation (Figures 1 & 2) and on an AR2 drone using a motion capture system in the Advanced Robotics and Automation (ARA) Lab.